Financial reporting and analysis in the ideal world are supposed to be fun and intellectually stimulating. I say “in the ideal world” because most finance professionals spend a significant amount of time cross checking their copy pasted numbers in their excel sheets to make sure it is placed correctly and the formulas are correct. So yes, in the real world, it is not as fun. It is the opposite of fun. It is such a shame seeing intelligent people wrangling excel spreadsheets instead of spending more time analyzing and spotting risks or opportunities. If you are reading this article, chances are – you are experiencing pain in your current financial reporting process, and you want things to be better because it is just a nightmare. 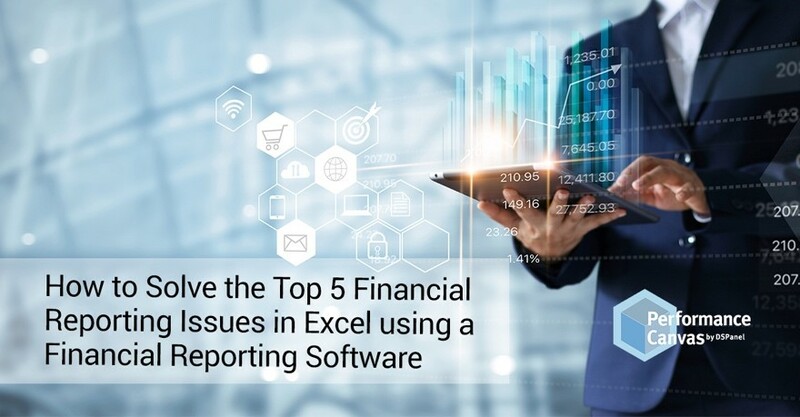 So check out the top 5 financial reporting problems below and their suggested solutions. Are you tired of not knowing what the holdups are in the process? Is everyone demanding a return of investment proof on that very expensive technology your company just purchased? Moreover, does everyone want varying reports that you have a hard time keeping up? Honestly, the best fix to this is a robust financial reporting software, and it shouldn´t just be any technology, it has to be one that can organize your data, streamline your process, provide you with report templates, and one that can automate repititive tasks. If you can find a financial reporting technology that has a drag and drop reporting wizard to guarantee that you can fully control and modify your reports without involving your IT team, this is ideal. Sure your company might have poured in millions to get that new ERP system up and running, but by now you must realize that these ERP systems cannot provide you the detailed financial reports you need. You might even have other systems running also housing different aspects of your financial figures, and it is a complete nightmare to try to piece them altogether. The best solution to this is to properly assess which systems need to be retired and which ones should be kept. It is never a good idea to spread data in so many different systems because of the complexity in managing them and in organizing this information later. Find a reporting software that can integrate with your ERP system and your other line of business systems. Your life will be so much easier if you can find one software that can tie all systems together and software that can handle data management, workflow automation, finance analytics, and storage all at once. Mistrust in data is perhaps the most serious of all problems. If there is one thing your reports must possess, it should be integrity. Without it, your efforts in generating your output are useless. It´ll be just another futile exercise with an end report that no one ever uses or trusts. The fix to this is to try to move away from a process that is full of errors and inaccuracies. If you are running on excel spreadsheets, accept that it is not the way forward. The sooner you can find a new financial reporting software that can help you eliminate errors, establish a logical workflow, do self-check mechanisms, the better for you and your team. Find one that will immediately give you warnings for inaccuracies, one that has versioning control capabilities, and one that allows you to drill into your figures so you can investigate comfortably. Financial reports are supposed to be dynamic. If something happens, it should be reflected there. Creating a report should not take a long time. It has to be fast, and it has to be accurate. A reporting technology that allows on the fly modifications and one that offers predesigned templates or a simple drag and drop method for creating a new report will be your bestfriend. If it takes you at leats 30 minutes just to pivot a table or 40 minutes to run an income statement of P&L report, you are doing it wrong because some systems can allow you to do the same in just a few seconds. Now, this is a common problem and a valid one especially if your company just purchased a new ERP system, for example. Those things take a long time to implement and costs a mind numbing amount of money. The solution to this is to look into cloud reporting software solutions. The cloud has made strides in terms of security and comprehensiveness of its offering. More than that, you do not need to vomit a whole lot of money to get started with it. It is a significantly more modest investment. Performance Canvas Financials is a complete and cloud-based financial reporting, financial budgeting, financial forecasting, and financial consolidation software. It is a one stop solution that will allow you to not only streamline your reporting process; you can also streamline your budgeting process to avoid gaps in your end to end FP&A process. This cloud-based reporting and analytics software will organize your data to make squeezing insights out of it effortless. It can integrate with any ERP system or line of the business system, and it can be installed and setup in just 5 minutes. Yes, you read right — just 5 minutes. Performance Canvas Financials has helped over 2500 companies optimize, control and automate their reporting and budgeting process allowing CFOs and finance departments to increase transparency, accountability, trust, and efficiency. Discover Performance Canvas Financials by taking part of its free 30-day trial offer. No credit card or commitment required. Discover how this software works with your own financial data. Visit www.performancecanvas.com for more information or email info@dspanel.com.